Paris's Musée du Louvre, located in the vast Palais du Louvre next to the Jardins des Tuileries (map), is among the greatest museums in the world—perhaps it is the greatest museum in the world. The Louvre is like life: filled with wonders and pleasures you can only experience one at a time. Identify a limited number of exhibits you'll enjoy, and go enjoy them. A treasure-house as rich as the Louve should be a treat, not a burden or an obligation. 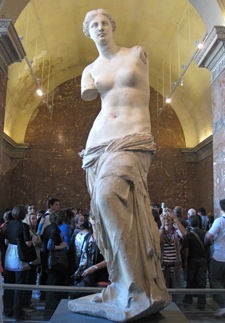 For tips on visiting the Louvre, click here. For every visitor to Paris, the Louvre presents a challenge: how to partake of its incredible richness in such a short time? Above, Pyramid from Richelieu Entrance. Allow me a bit of sacrilege here, but I believe that if your time in Paris is very short, and if you have little interest in museums, you can bypass the Louvre. No guilt. No second thoughts. 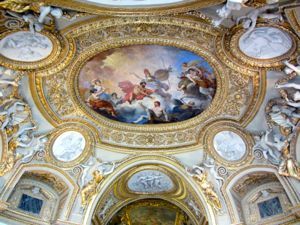 Just go do something else that you'd enjoy more, such as spending adequate time in one of Paris's smaller, exquisite museums (ever heard of the Musée Nissim de Camondo? Quite wonderful, and never crowded.) Click here for a list to choose from. The Louvre will be here when you visit Paris again and are more in the mood for dealing with it and enjoying it. La Gioconda (Mona Lisa) will still be there, smiling as mysteriously, when you return to Paris—which, chances are, you will. Gazing at the Mona Lisa, Musée du Louvre. 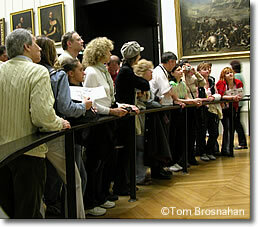 But if, like most people, you want to visit the Louvre, you need a strategy for your visit. Planning ahead can help maximize your time and ensure an enjoyable visit. Here are some suggested approaches to visiting the Louvre. There are lots of ways to enjoy the Louvre, so do a little planning and figure out what will work best for you. Above, Rotonde de Mars (18th century) Louvre. 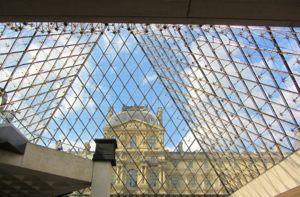 Below, the Louvre Palace seen through the glass pyramid entrance.